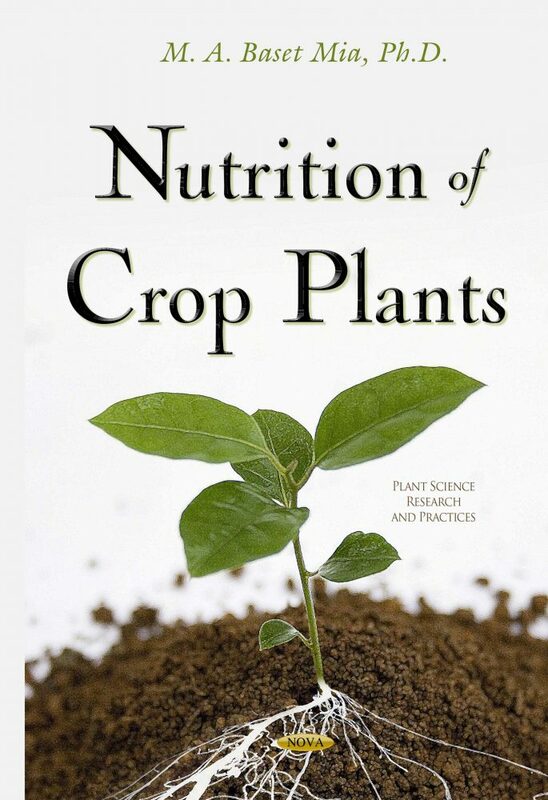 Crop nutrition is an essential discipline of plant science of crop production. The importance of crop nutrition for increasing yield and the quality of crops is difficult to explain. In simple words, crop nutrition is the study of uptake and utilization of elements for the growth and development of crop plants. This book includes the classification of essential nutrients in various aspects with special emphasis on the physiological and biochemical functions, and their uptake process through the membrane. Much emphasis has been given on the root structure and rhizosphere in relation to nutrient uptake and their assimilation in the cellular level. The goal of this book is to establish a thorough understanding of plant nutrition. It is a textbook for agriculturists, researchers in the field of crop science, students’, and academicians and for crop cultivators as a whole. Finally, it is a consolidated book, comprising different areas of plant nutrition and the stakeholders will benefit from a book like this.